Mustache backed Burgundy hued. So French leather club chairs always have some patine, nicks , scratches, repairs etc. The are never in perfect condition. 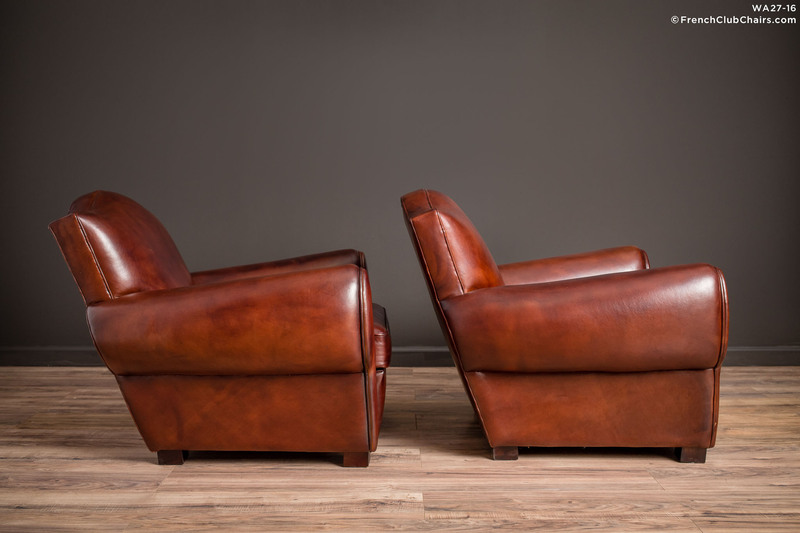 If near perfection is what you seek in a pair of Club chairs… You found them. Circa 1960s. measurements: depth-36", width-36", height-30", seat depth-21", seat width-19", seat height-16"